Caution prevailed as earnings season for the September quarter kicks off this week, traders said. Institutional investors lent support to the market. 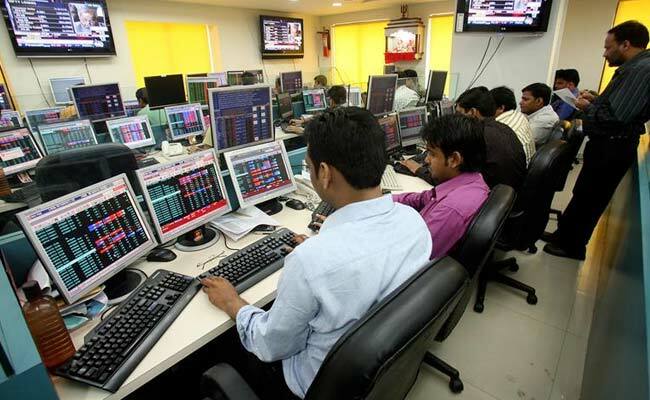 Mumbai: Wide fluctuations prevailed in the stock market on Monday before key indices Sensex and Nifty closed with measly gains, with institutional investors lending all-crucial support. The GST Council last week offered relief to exporters and small and medium businesses. Caution prevailed as earnings season for the September quarter kicks off this week, traders said. The 30-share Sensex rallied to the day's high of 31,935.63, but slipped before ending up 32.67 points -- or 0.10 per cent -- at 31,846.89. Much of the selling was an outcome of a rush to book profit. The gauge had gained 222 points on Friday. NSE's Nifty 50 - after reclaiming the crucial 10,000-mark - slipped back to close up 9.05 points, or 0.09 per cent, at 9,988.75. Intra-day, it also touched a low of 9,959.45. General Elections 2019: PM Modi Defends Fielding Sadhvi Pragya, Says It Will "Cost Congress Dearly"